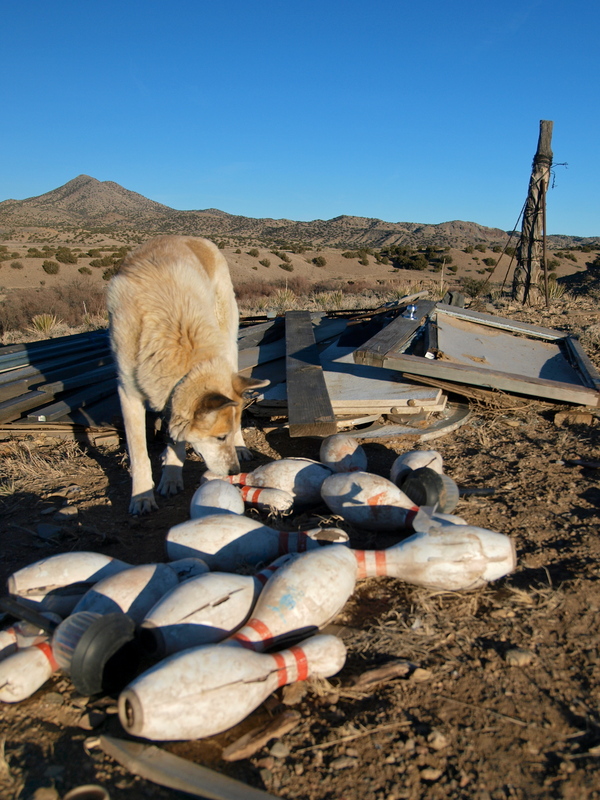 Recently, on one of my daily walks around my big backyard, I discovered new treasure: a set of two dozen wooden bowling pins, far from the closest bowling alley. I’ve since named the old rutted path there “Bowling Lane”. What are all those pins doing out there? No idea. Your guess is as good as mine. Even the Blonde Coyote is confused. 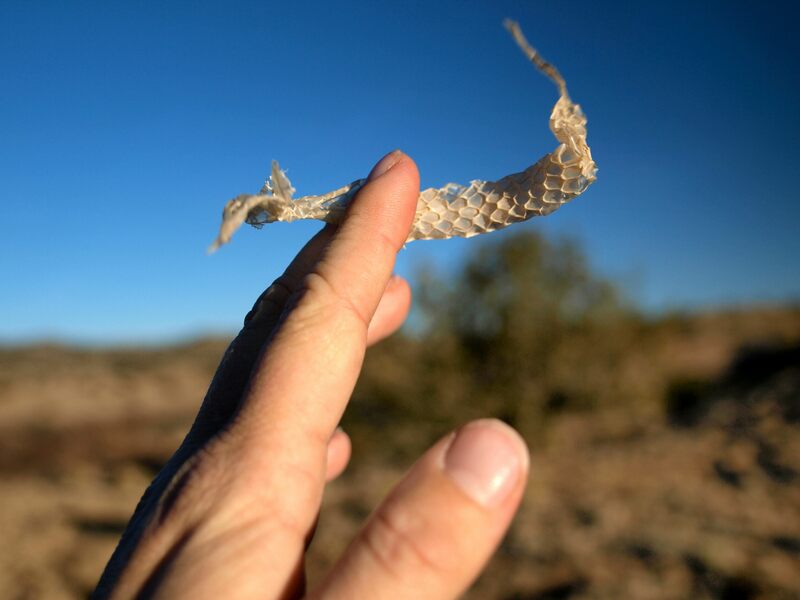 I really hope this is old and not an indicator of an extremely early start to rattlesnake season! Head-sized petrified wood. Hat for scale. 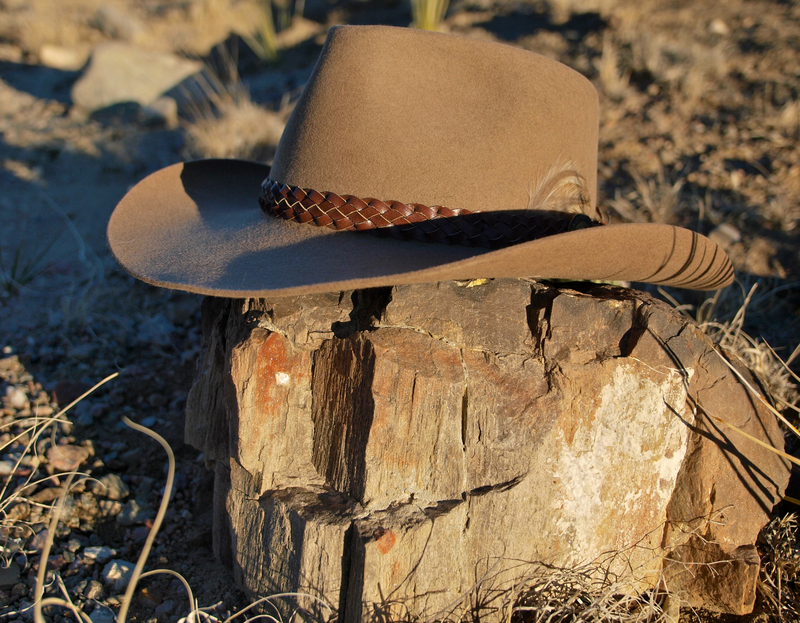 Check out my previous Desert Treasure posts: Red Wreck & Cerrillos Ruins. 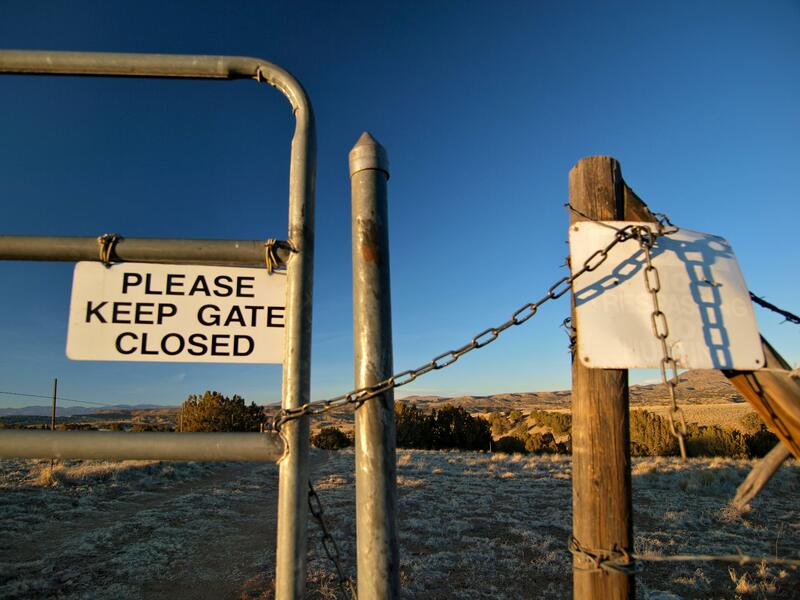 What beautiful photos – I particularly love the bowling pin on top of the fence post. What an odd discovery. 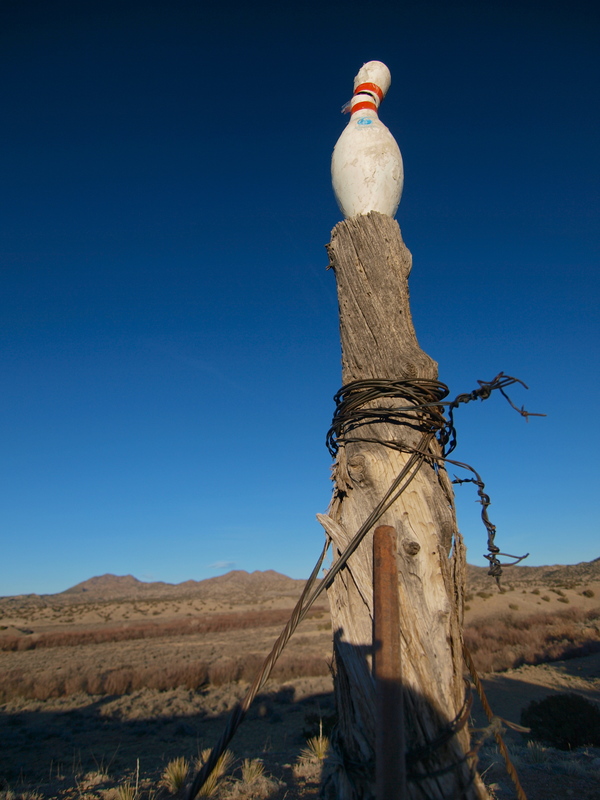 I’ll bet you come up with a new Bowling Pin Origin story each time you walk the lane! Thanks Heather! I know the guy who owns that chunk of land — it’s vacant, he lives in town. He’s an artist and I suspect the bowling pins were intended for some kind of art project, but I can’t imagine what!